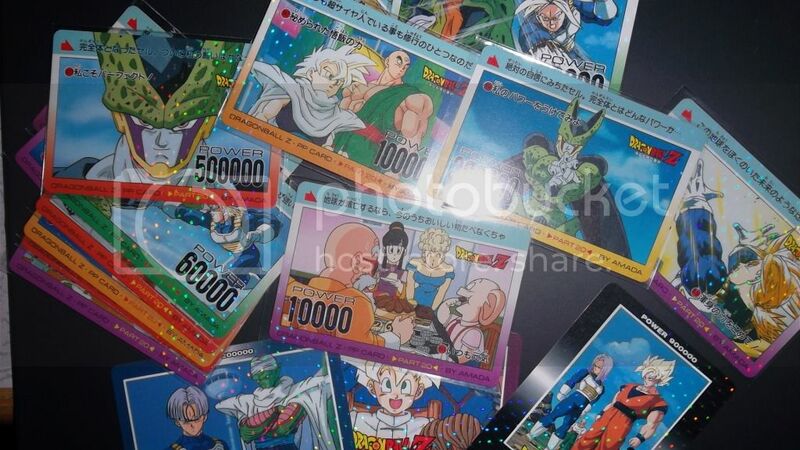 Who still got these Dragonball stuffs? Thread: Who still got these Dragonball stuffs? oh my god I have a whole book of that! A separate book of cards for GT ones too. I just need to find them lol. I have some that are semi see through too. Those were really popular in my school, I even sold a few hah. If I find my collection I will share the pictures. Oh wow, what a nostalgia blast. I remember having a friend that was crazy over collecting this kind of stuff, and he had a huge box full of them. Don't know what he did with it, might as well just put it in the garbage can. looking for this too, let me know if u have.